If you’re looking for a succulent or houseplant that’s hard to kill, look no further than the snake plant. Snake plants, also known as Sansevieria or Mother-in-Law’s Tongue, are particularly ideal for beginners or people who find it difficult to keep plants alive. Since they’re both low-maintenance and aesthetically interesting, it’s like getting the best of both worlds with very little effort. 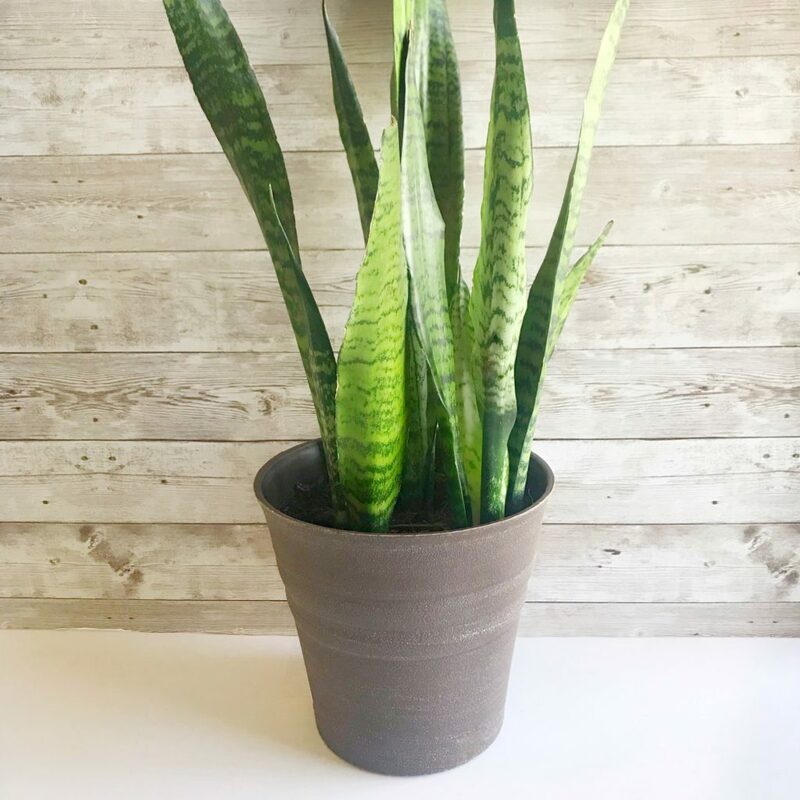 You may have noticed snake plants in trendy restaurants, hotels, and even spas – that’s because they’re so easy and inexpensive to care for and their height and color adds a level of modernism to any space. They can be grown both outdoors and indoors, and they’re also tolerant of drought and low light. Plant a snake plant in a white pot, and you’ll have an instant decorative piece to add to your home that can also purify the air! Just be careful where you place it if you have pets – the plant is toxic if ingested.
. This variety features leaves that can grow up to 3 feet tall with leaf stalks that grow vertically, as opposed to another popular variety, the Cylindrical snake plant, which features twisted leaves. You can also find other varieties at greenhouses and online merchants like Shop for Succulents. You’ve now learned why they’ve been all the rage lately, so let’s talk about how to care for snake plants so they thrive in your home for years to come! , which you can use for all of your succulents. 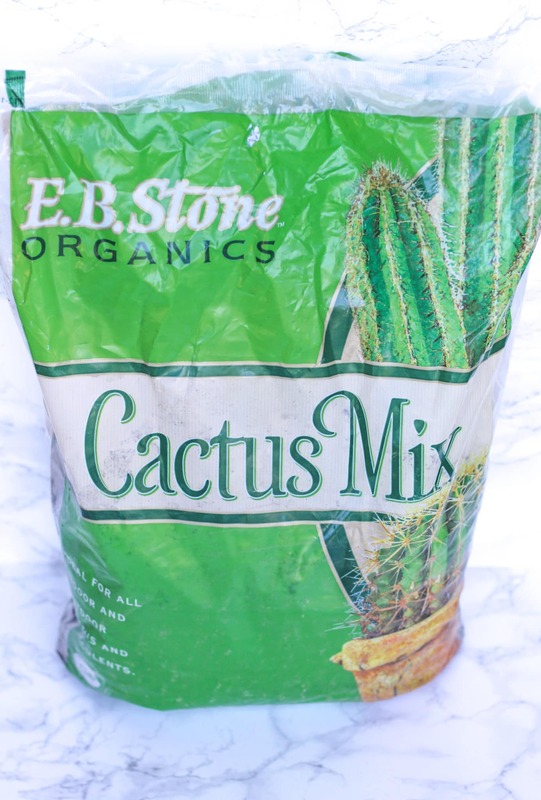 Cactus mix is typically made up of particles like sand, pumice, and sometimes small twigs that make it easy for water to travel through the soil and out of the drainage hole. It doesn’t hold onto more water than it needs, which keeps the roots from rotting. Choosing a pot or container that has a drainage hole at the bottom is crucial when planting a snake plant. Why? Snake plants are drought-tolerant and very susceptible to rot if over-watered. A drainage hole will help the plant get rid of excess water in case you accidentally overwater it. Also, opt for a breathable container that wicks away moisture, such as a terra cotta or clay pot. Terra cotta pots are excellent options for growing succulents and it’s my container of choice with most of my container plants. home from the garden center, you can repot it into your container of choice. However, aim for a container that’s only slightly larger than the one it came in since this helps to prevent plant shock that houseplants tend to experience with being transplanted. To plant your Sansevieria, simply take the pant out of its plastic container by its base, and transfer it over to its permanent pot. Once it’s placed in the middle of the pot, fill the sides with more cactus mix. Make sure the base of the plant is sitting slightly above the rim of the pot so that the leaves don’t touch the soil. Once you’ve transplanted your snake plant, place it in an area of your home that gets several hours of indirect sunlight each day. This will usually be next to a South-facing window. Since snake plants tolerate low light conditions, you can place them in rooms that don’t get an ample amount of light, such as in a hallway or corner of a bathroom. Your plant will, however, perform best when exposed to enough sunlight. Also, snake plants don’t mind dry air, so don’t worry about increasing the humidity levels in your home. While some houseplants do enjoy humid conditions, such as the beautiful and long-blooming Anthurium, snake plants are perfectly capable of thriving in dry conditions. If you intend to plant several snake plants outdoors in your yard, make sure to choose a spot that gets shade during the afternoon hours because exposure to high temperatures can actually burn these plants. Always remember that part-shade spots are best when growing this succulent outdoors! Learning to properly water snake plants is one of the best things you can do for your plant. Snake plants hate to sit in soggy soil and can easily rot of consistently over-watered, so only giving it as much water as it needs is the way to go when caring for Sansevierias. The rule of thumb here is to let the soil dry out completely between waterings. Snake plants are drought-tolerant so they actually prefer to dry out before getting their next dose of moisture. To find out if your plant needs water, do the touch test! Simply stick your finger into the soil to test for moisture. If the soil still feels moist, give it another few days before you water your plant again. If the soil feels dry, then you’ll know it’s time to water. You can also check the moisture levels at the bottom of the pot; if the soil there feels dry, this means your plant has completely dried out. and give your plant a good soak. Once you see water draining from the drainage hole, you can stop watering. Always remember to throw out any remaining water from your pot’s saucer, to prevent your roots from sitting in soggy soil. For an in-depth post that covers everything you need to know about watering succulents, head over to this post: How to Water Succulents – the Right Way. Snake plants, like other succulents and houseplants, don’t need fertilizer in order to grow. The right kind of fertilizer, however, can be effective in improving your plant’s health and vibrancy if applied at the beginning of Spring or every month during the plant’s active growing season. , pour the directed amount of liquid fertilizer into the can, give the can a gentle swirl to mix the solution, and then water your plant as you normally do. ; never apply it to dry soil because it might be too strong for the plant and it won’t absorb as it should. If you’d like to test how your plant responds to fertilizer, divide the dosage by half or a quarter instead of the full recommended amount. Some growers actually prefer applying small amounts of fertilizer to their plants once every month during Spring and Summer. Never fertilize during the Winter months because your plant enters into a state of dormancy! Snake plants are exceptionally easy to care for but that doesn’t mean they’re not susceptible to problems like common houseplant pests, sunburn, or fungus that results from over-watering. If you can learn to identify these problems in a timely manner, you’ll be able to save your beautiful plant. When overwatered, snake plants can be overcome by pests such as mealybugs and spider mites. If you notice small white clumps along the leaves of your plant, you likely have a mealybug infestation. These bugs feed off the sap from leaves, which leaves plants looking droopy and wounded. Luckily, getting rid of an insect infestation is quick and inexpensive. Simply grab some rubbing alcohol and a cotton swab and swipe away at the mealybugs. The alcohol will instantly get rid of them! If you have a larger infestation, you can try drenching the soil with alcohol solution and water. Since snake plants are native to tropical and subtropical areas, you should aim to grow your plant in warm temperatures, ranging from 50 to 85 degrees Fahrenheit. This is not a cold hardy plant so it will not survive in cold temperatures – it’s why it makes such an ideal houseplant! If you live in a zone with cold Winters, remember to bring your snake plants indoors after Summer’s end. High winds or cold temperatures can actually cause scarring on the leaves of your plant, so be mindful about the growing conditions you provide for your plant. and water (about 1 teaspoon to 1 liter of water). (Read more about DIY insecticides here).